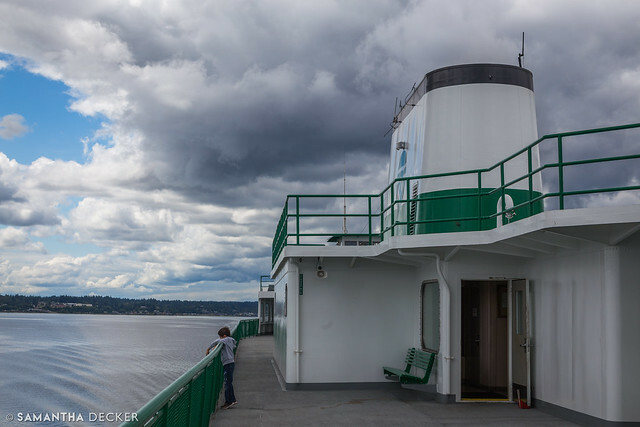 The ferry from Bremerton to Seattle offered plenty of photo ops. 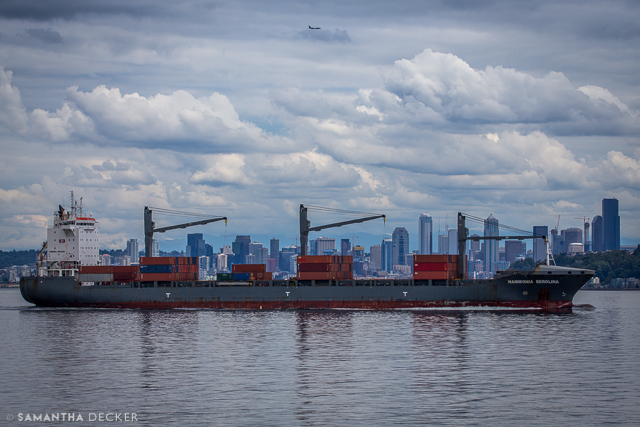 Look at the cargo ship! 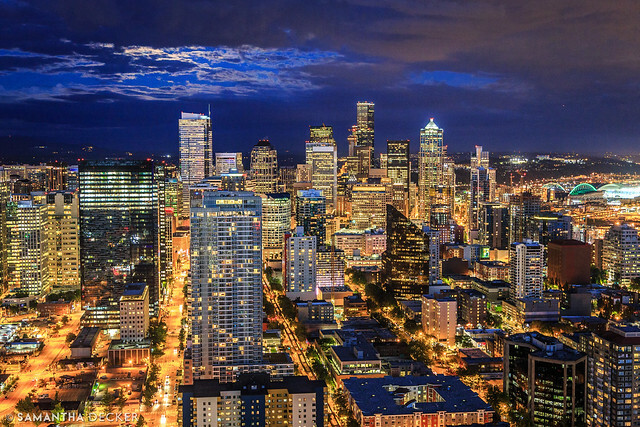 A panoramic view of the Seattle skyline as the ferry approach. 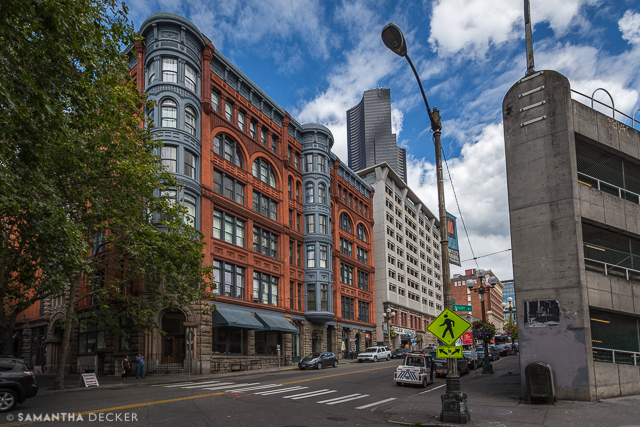 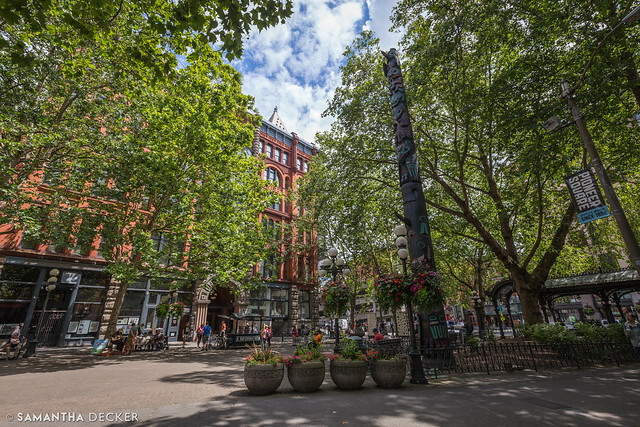 The first neighborhood I photographed in Seattle was Pioneer Square. 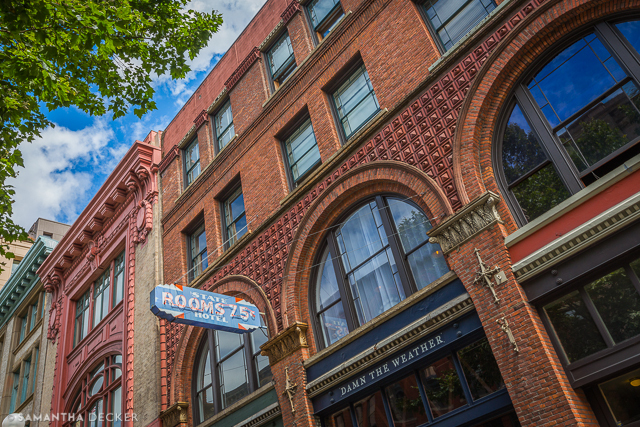 The architecture here harkens back to an earlier time. 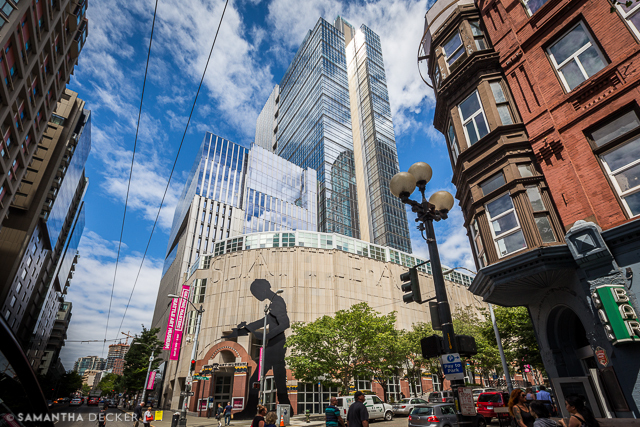 The Seattle Art Museum has a moving statue in front of it. 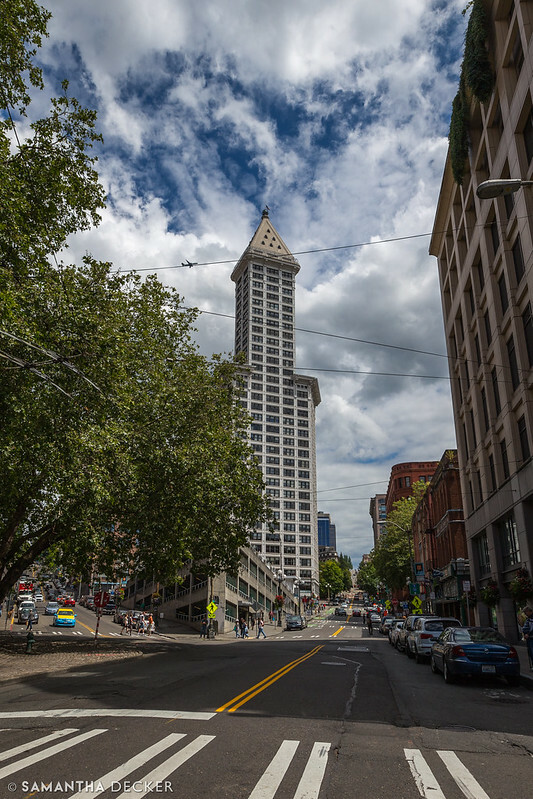 Smith Tower was once the tallest building in Seattle. 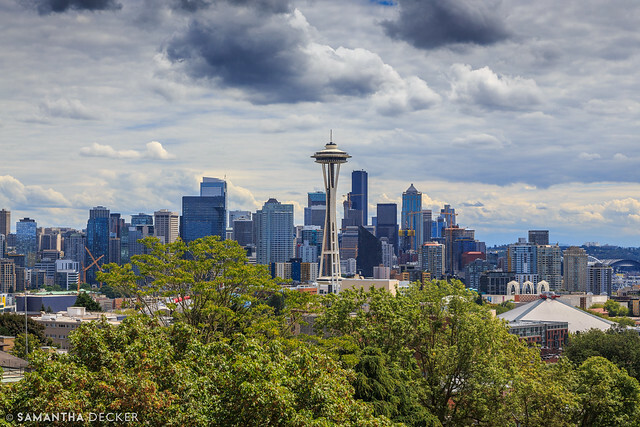 Kerry Park is a great place to get some photos of the Seattle skyline. 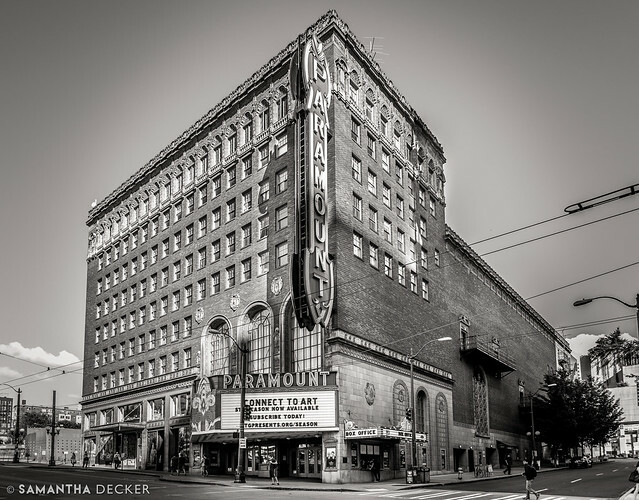 I had to get a photo of the Paramount Theater while I was in Seattle. 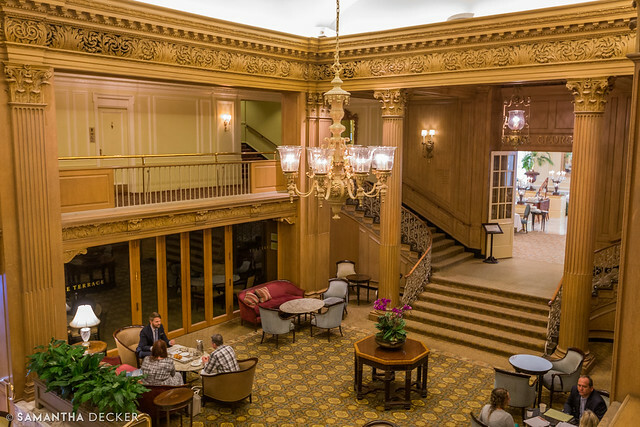 Fun fact: Judy Garland and her sisters performed vaudeville here in the 1920s. 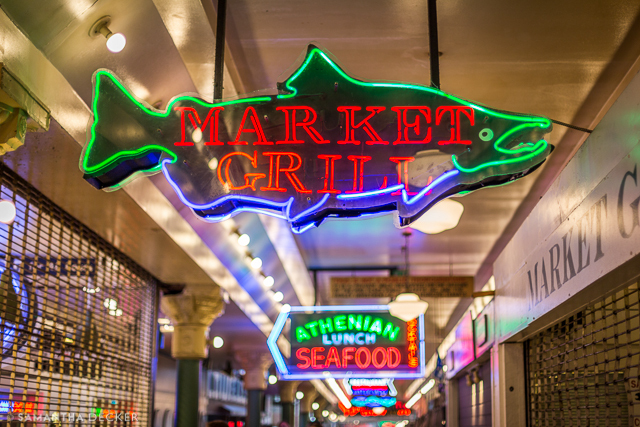 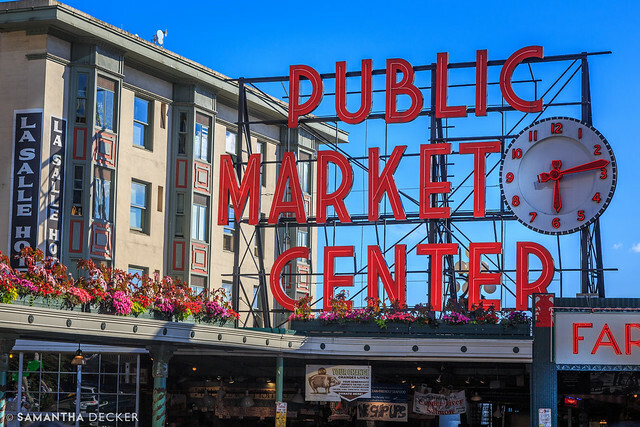 Seattle Public Market is one of the most recognizable landmarks in the city. 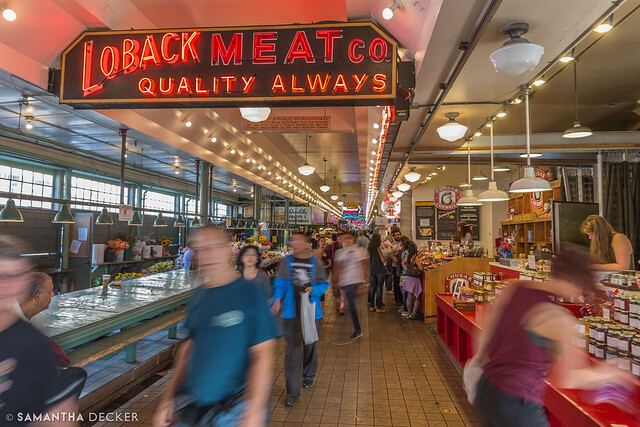 By using a long shutter speed in the above photo, I blurred the people walking by. 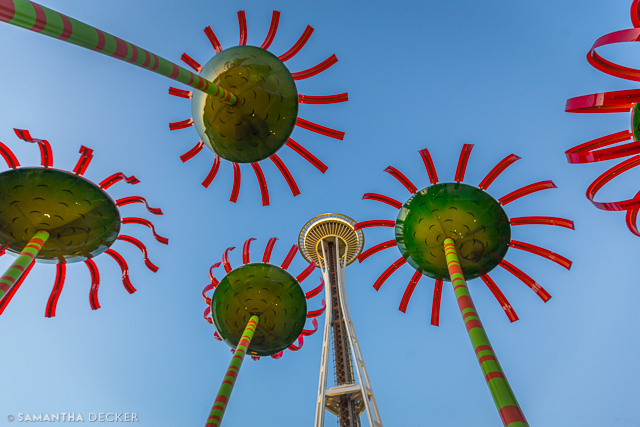 Over at the Space Needle, interesting glass sculptures make for a bugs-eye perspective. 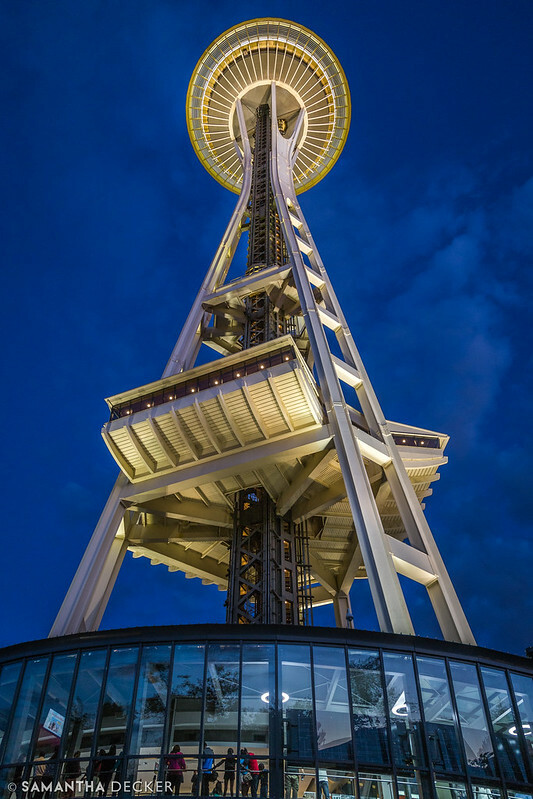 The Space Needle would fit right in at Tomorrowland at Walt Disney World or Disneyland. 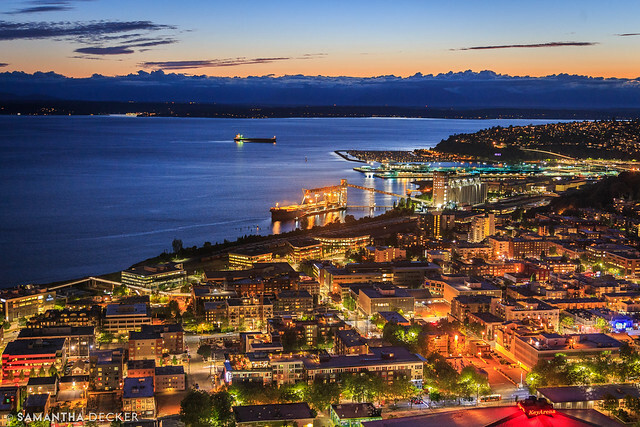 The view from the top of the Space Needle is unmatched! 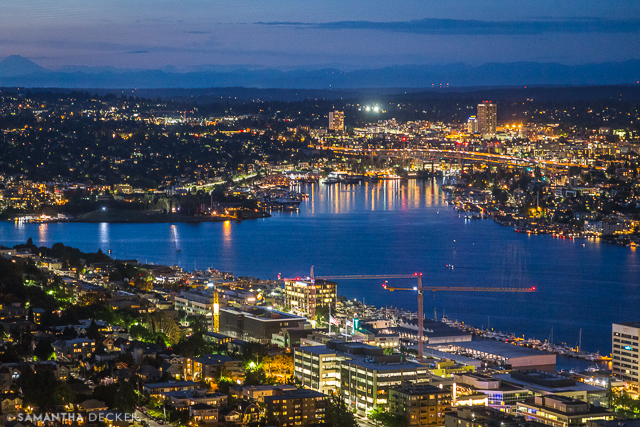 Without a tripod, night photography proved difficult, but I walked away with several shots I was proud of. 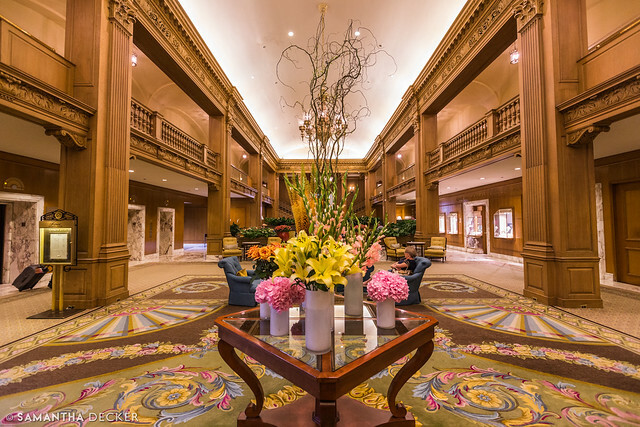 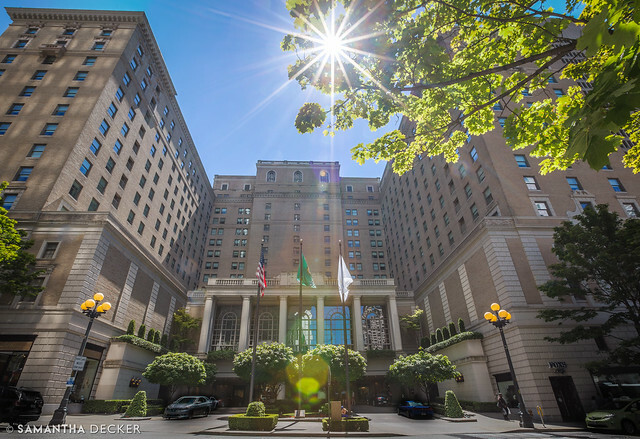 The Fairmont Olympic Hotel was built in 1924, but its architecture is reminiscent of older times, with a lobby that reminds me of the Titanic. 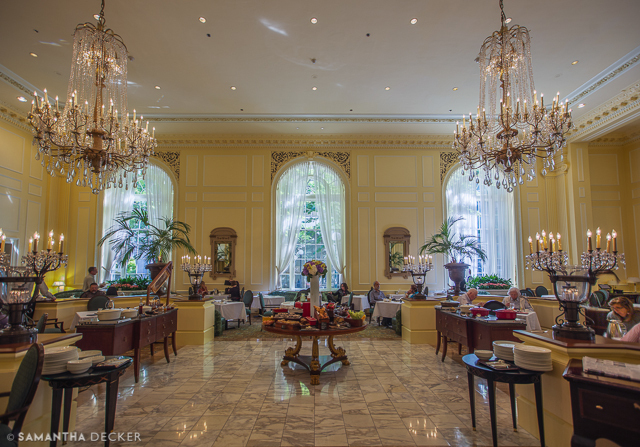 The Georgian Dining Room is a pleasant place to have breakfast. 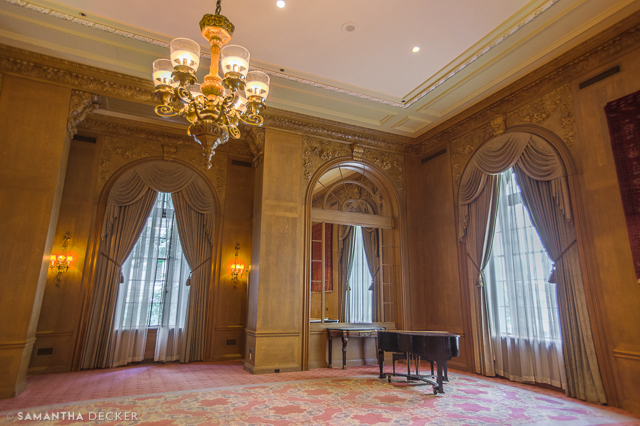 Whenever I stay in a hotel, I always explore and take photos of the various rooms and lounge areas. 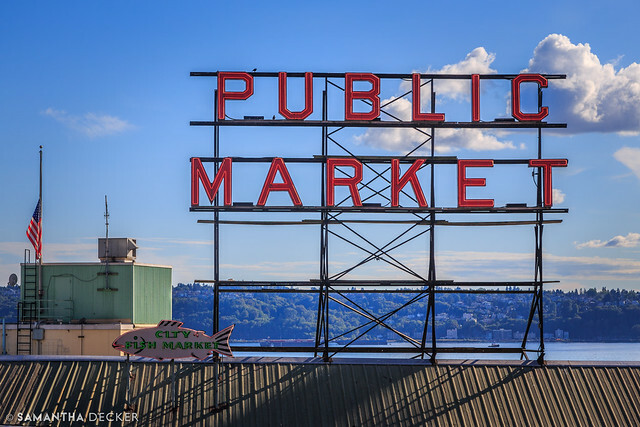 Well, that officially wraps up my PNW series. 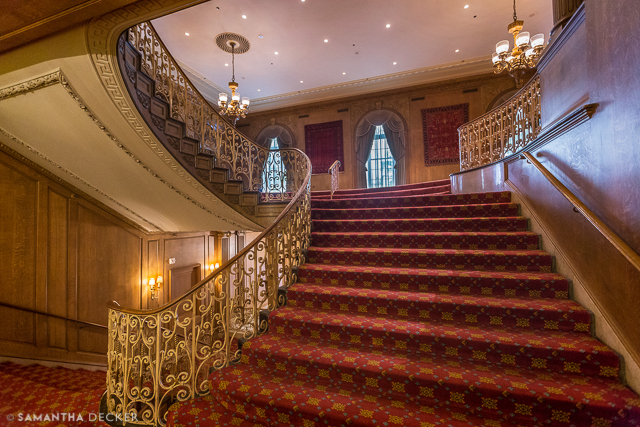 I hope you enjoyed looking at these photos as much as I enjoyed taking them!